In May–June 2013, me and photographer Hannu Aukia conducted epigraphic studies in the modern-day Jordan. The expedition was funded by the Finnish Institute in the Middle East and IHANE. 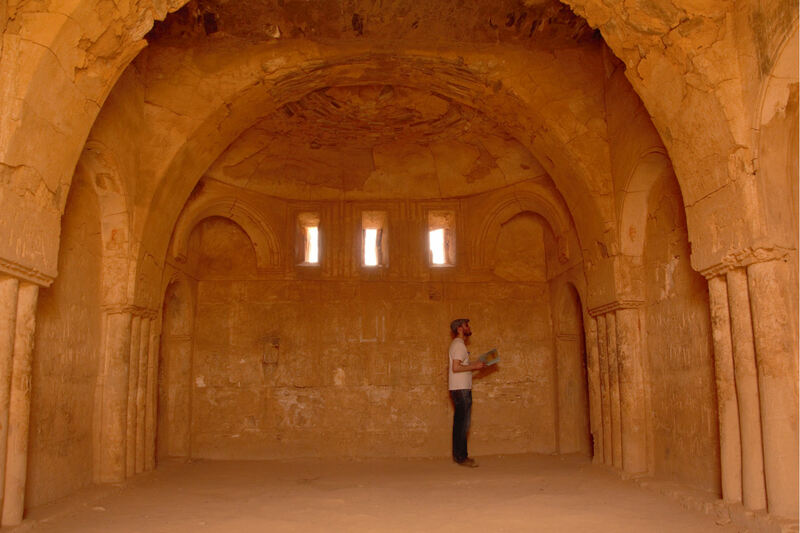 We documented a handful of Ancient North Arabian (from roughly the 6th century BCE to the 6th century CE) and Nabataean as well as some early Arabic (7th–9th century CE) inscriptions and graffiti. These can be found, for instance, in ruins of Roman and Umayyad era castles, palaces, and caravanserai. The pictures, of which here only a handful will be included, can be seen online at http://www.flickr.com/photos/97275038@N06/sets/. Please note that the online database is still very much a work-in-progress. We visited the following sites: Qasr Kharana, Qasr Uwaynid, Qusayr Amra, Qasr al-Hallabat, Hammam al-Sarakh, Qasr al-Azraq, Qasr al-Tuba, Wadi Rum, Petra, Khirbat al-Askar, Qasr al-Bashir, Wadi Mujib, Qasr al-Mushaysh, and Qasr al-Mushash (two different localities, al-Mushaysh being near the town of Karak, al-Mushash near Amman). Here I will discuss three sites. First, Qasr Kharana, perhaps an Umayyad era building. 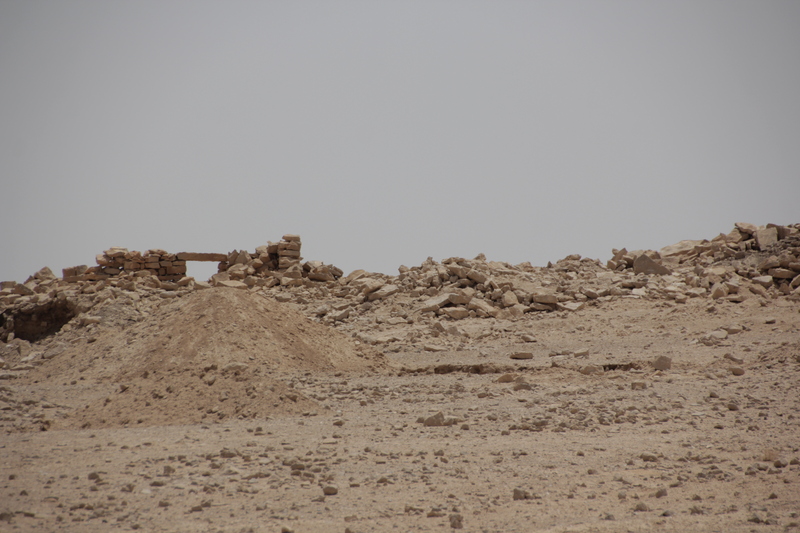 Second, Qasr al-Mushaysh, perhaps a Roman era site, with underground dwellings. And third, Wadi Mujib, a valley containing hundreds of North Arabian graffiti and drawings. 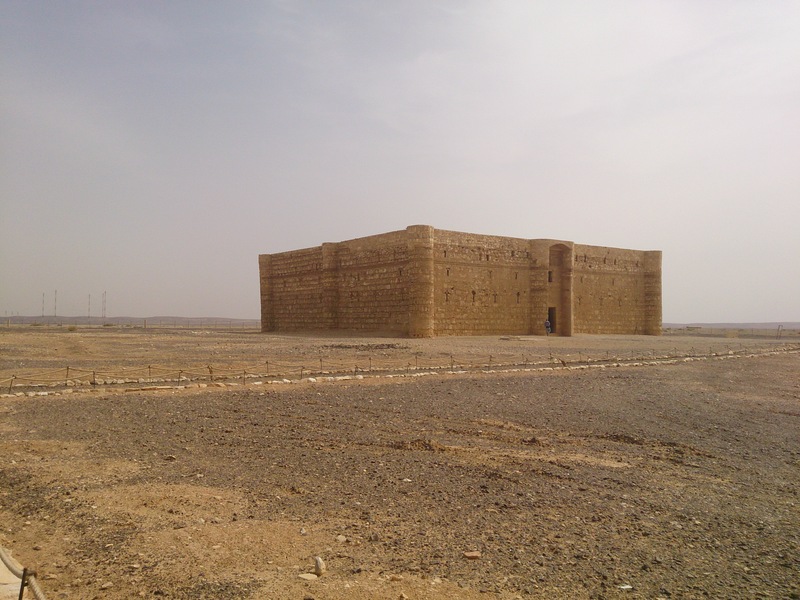 Qasr Kharana, a very well preserved Umayyad era (661–750 CE) building. Although it looks like a castle for military use, it never served that purpose. What look like arrow-slits are actually ventilation holes, according to Stephen K. Urice. Stephen K. Urice, in his “Qasr Kharana in the Transjordan” (Durham, 1987), dates the Qasr Kharana to the late seventh century CE. This is done by archeological, architectural, and circumstantial evidence. 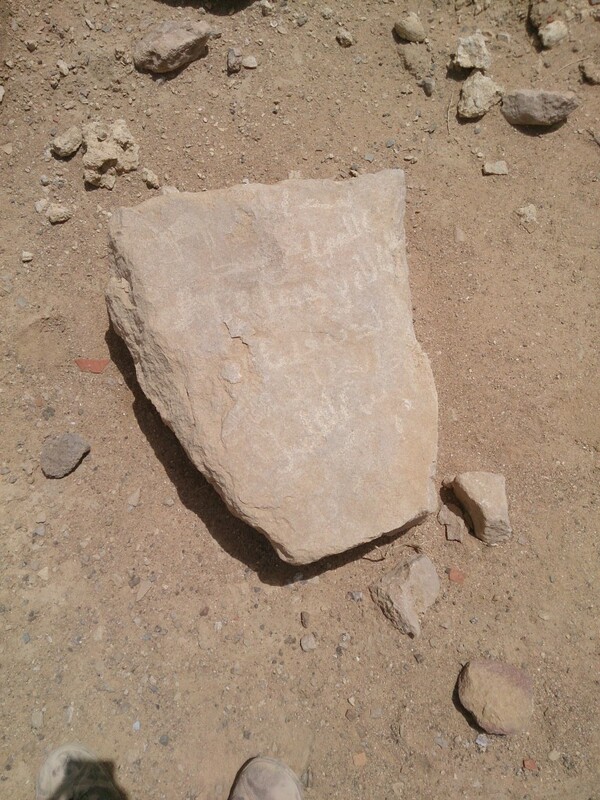 We managed to found two new early (seventh–ninth century) Arabic inscriptions. The Arabic inscriptions and graffiti will be published in the journal Arabian Archaeology and Epigraphy. Room 51 of Qasr Kharana. One of the very interesting, and little, if at all, researched places was Qasr al-Mushaysh, about 50 km south-east of the town of Karak. Heavy mining activity was taking place near the ruins. Some kilometers away, we heard, and saw, many explosions. 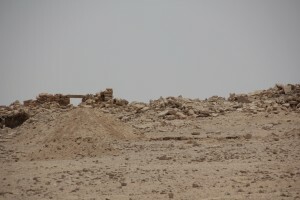 It is worryingly possible that the ruins of Qasr al-Mushaysh won’t be there after some years. The ruins of Qasr al-Mushaysh. Qasr al-Mushaysh contained ruins of many different buildings, perhaps originally from the Roman era. There were also many underground dwellings. 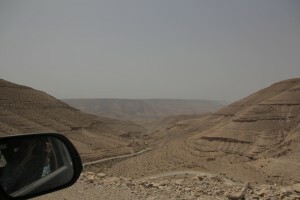 At the site, there was two Nabataean Aramaic and some early Arabic inscriptions. 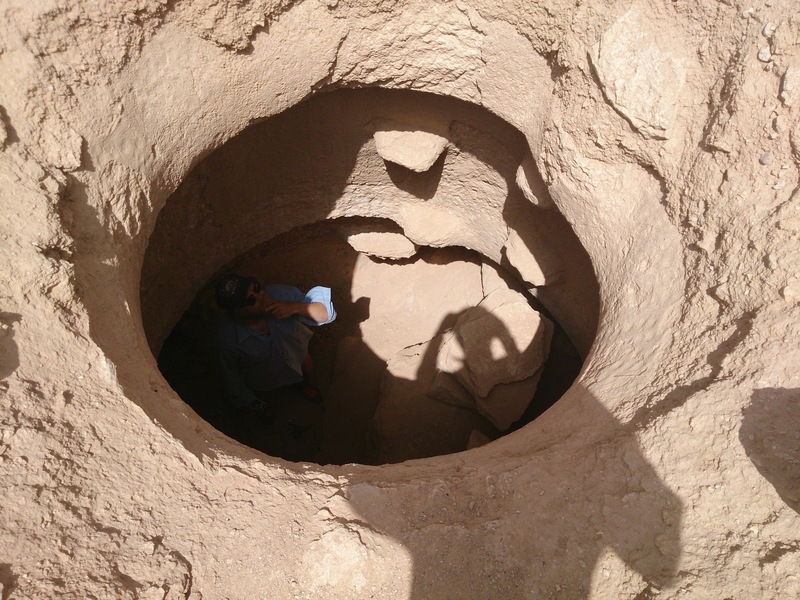 We surveyed two underground dwellings which were, however, inaccessible because of sand gathered at the bottom. 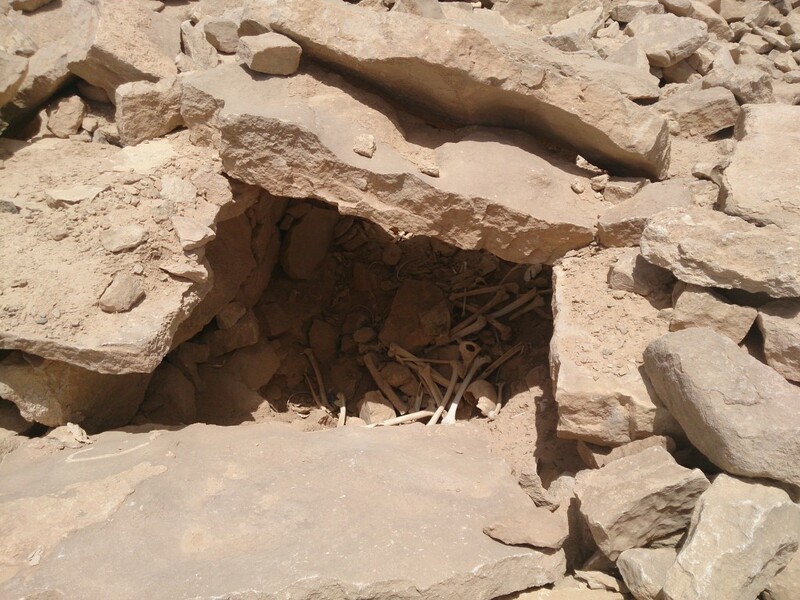 Qasr al-Mushaysh contained many graves that had been opened and, presumably, robbed. his parents and their offspring. Amen, [Lord] of the World! Wadi Mujib from the window of our car. through a rather badly-maintained dirt road, which seemed, at times, rather dangerous. The real treasure awaits the explorer at the bottom of the valley, where basalt stones start to appear. These stones contain hundreds of drawings (usually animals). We also found, in addition to many modern Arabic graffiti, one invocative Kufic (i.e., early Islamic) inscription. Basalt stone is especially good for inscriptions, because it is easy to carve and it weathers centuries without any erosion on its surface. The purpose of our expedition was to document Ancient North Arabian and early Classical Arabic inscriptions and graffiti in situ. These can be accessed online at http://www.flickr.com/photos/97275038@N06/sets/. Scholars as well as the general public rushed to this and other texts to have a closer look at the similarities, and find out what they meant. In a world still much more religious than ours, this was bound to lead to heavy discussions. The most explosive of these was caused by a 1902 lecture given in Berlin by the prominent assyriologist Friedrich Delitzsch, called ‘Babel und Bibel’. In his lecture, which was another high-profile occasion, this time including the German emperor Wilhelm II, Delitzsch argued that Judaism and the Old Testament in large part derived fromMesopotamian traditions. This led to a heated discussion in Germany, both in public and in scholarly circles, which raged on until both World War I and changes in academic interests and approaches diverted attention elsewhere. In the meantime, however, a theory known as ‘Panbabylonism’ had appeared. It claimed that not only Judaism and the Old Testament, but also large parts of other ‘Western’ culture, ultimately derived from ancient Mesopotamia. Although never very popular, this school of thought placed a stigma on research on Mesopotamian cultural influences, which was now considered a topic only interesting for what could be called the scholarly variant of conspiracy theorists, i.e. people who see connections everywhere. A few decades in the shades followed for our subject. The person responsible for getting it back into the light was the German hittitologist Hans Gustav Güterbock. In the 1930s, Emile Forrer, a Swiss scholar working in Berlin at the time, had discovered a Hittite text that bore strong similarities to the Theogony, a didactic poem about the creation of the gods and their fights for kingship ascribed to the Greek poet Hesiod. 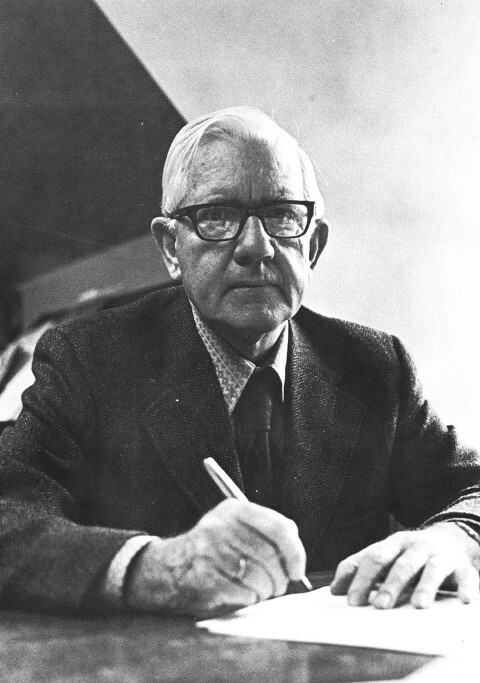 Although Forrer published a few articles on the subject, it really caught the limelight only when Güterbock published a full edition of the Hittite text in 1946, followed by a more widely accessible article in the American Journal of Archaeology in 1948. This text pointed out once again that Greek culture had not developed in isolation, but somehow had been in contact with surrounding cultures and had taken over elements from them. Inevitably, some outlandish claims followed again, with scholars claiming in Delitzsch-esque style that Greek culture was largely derived from the Near East. Although this, too, did the field more harm than good, it could not stop scholars from continuing to explore the links between Greek and Near Eastern culture. The real breakthrough to mainstream academic research followed in the 1980s and 1990s. Various publications and scholars could be mentioned, but most important were a number of high-profile books and articles by the respected classicists Walter Burkert and Martin West. These put the subject of Near Eastern influences on Greek culture on the academic map as never before, which has since been further charted without pause by scholars from around the world. Positive as this may sound, a few problems remain. First, many people are not quite ready to see Greece as being ‘just’ another part of the ancient world, connected to other areas as any region was. Ever since the Renaissance, Greco-Roman Antiquity has been seen as a special period in time, the first highpoint in history, and the alma mater of modern Western civilization. For some, the idea that the Greeks would have developed their culture in constant exchange and interaction with others represents an unacceptable challenge to their views, an attitude which continues to hamper research. Second, with all this talk about Greece, there has been little focus on the cultural position of Mesopotamia in the ancient world, except as a possible cultural feeding ground for the Greeks. And third, there has been even less attention for the cultural importance of Mesopotamia outside Greco-Roman Antiquity. Hence, extremely few studies investigate the appearance of elements of Mesopotamian culture in Iran in Parthian and Sassanian times, or in Arabic culture after the Islamic Conquest of the Near East. This, then, is where the IHANE Project comes in. Actually, to understand its position we should go back to a little bit before its foundation. 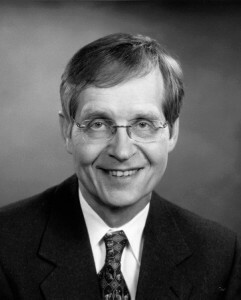 In 1999, the Melammu Project was founded by the Finnish assyriologist Simo Parpola. Recognizing the very same problems as outlined above, Parpola envisioned the creation of a project that would unite scholars interested in the question of Mesopotamia’s cultural importance, who could exchange ideas through a website and, especially, regularly organized meetings. 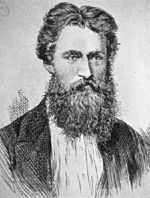 Six such meetings have been held so far, and the seventh will take place in Austria in November, as was described in an earlier post on this blog. IHANE is closely related to Melammu: IHANE was founded by Jaakko Hämeen-Anttila and Robert Rollinger, two scholars first brought together by Melammu, and makes use of academic networks laid out through the various Melammu meetings. Nonetheless, through its focus on the connection between Mesopotamian and Arabic culture, IHANE also adds something new and vitally important, as the Arabic world so far has not featured very much in the Melammu activities. And that’s where we are now! Hopefully, IHANE (and Melammu) can contribute its part to the history of research, so that a similar blog written twenty years from now will be able to remark how the foundation of the project helped create a sustained, serious interest in the cultural influence of ancient Mesopotamia! Top researchers – researchers at the top. From left to right: Robert Rollinger, Jaakko Hämeen-Anttila, Ilkka Lindstedt, Josef Wiesehöfer, Marie Oellig, Saana Svärd and Sebastian Fink. 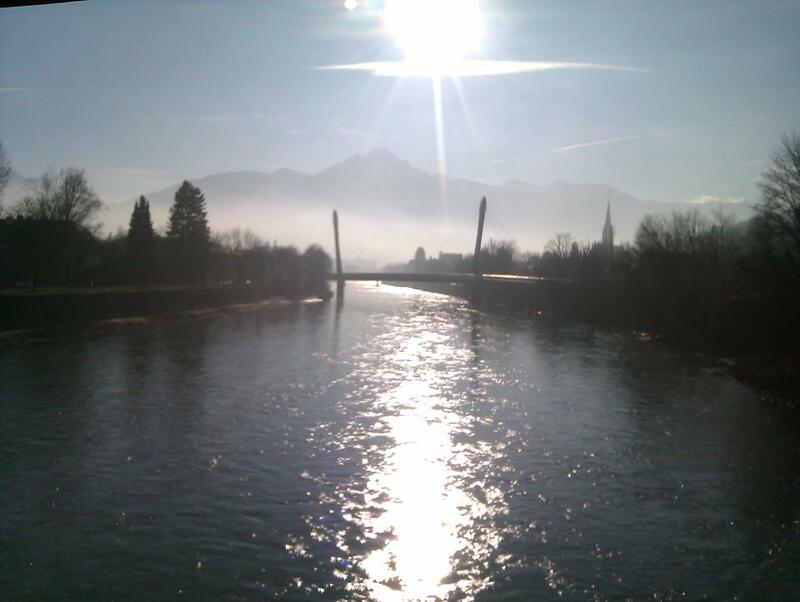 In January, the IHANE project members gathered to the beautiful city of Innsbruck for a two-day workshop titled “Intercultural Transfers.” The event was hosted by Zentrum für Alte Kulturen of the University of Innsbruck. In addition to Helsinki and Innsbruck, we also heard presentations from colleagues from Padova and Kiel. The fourteen presentations kept with the theme “Intercultural Transfers” admirably. The atmosphere was collegial and the discussions on papers were conducted in a lively and friendly manner. Instead of attempting to comment each paper, I have chosen to highlight the wide chronological and geographical stretch that was enclosed. Happily, many of the papers covered more than one period. Chronologically speaking, the widest difference was in the two papers examining the relations between Arabic world and Mesopotamia (Jaakko Hämeen-Anttila and my own paper together with Inka Nokso-Koivisto). Interesting presentations were also heard relating to the ancient Near East in general (Simone Heimerl) and Neo-Assyrian Empire specifically (Salvatore Gaspa and Raija Mattila). The paper presented by Sebastian Fink and Kordula Schnegg discussed the possible connection between the Sumerian gala and the Greek galloi. The presentations of Marie Oellig and Irene Madreiter discussed the influence of Neo-Babylonian Empire to the later Hellenistic and Seleucid world. Matthias Hoernes’ discussion bridged the beginning of Common Era, examining the Hellenistic heritage in the numismatics in Arsacid Iran and the Greco-Bactrian kingdom. Arab-Islamic period was approached by Ilkka Lindstedt in his presentation regarding the transmission of historical narratives in the ninth century AD. The latest texts to be examined in the conference were the Hebrew zemirot-hymns of the Middle Ages (Riikka Tuori) and the discussion on Hobbes’ Neo-Latin Poem “De mirabilibus Pecci carmen” from 1627 (Johanna Luggin). The geographical reach of the workshop was completed with the presentation of Walter Kuntner who discussed some new archaeological results in Transcaucasia and Urartu. In many presentations, methodology was discussed and a desire to conduct comparative research in a careful manner was expressed. Possible cultural transfers in ancient world need to be examined in detail and documented before research results can be concluded. Because of the wide chronological and geographical reach of the workshop, the discussion was fruitful and exciting and both days continued during dinner following the workshop. The colleagues in Innsbruck were excellent hosts, both in providing the academic environment and in showing us around Innsbruck. For me, one of the highlights of the trip was visit to the Seegrube (1905 m.) and Hafelekar (2269 m). 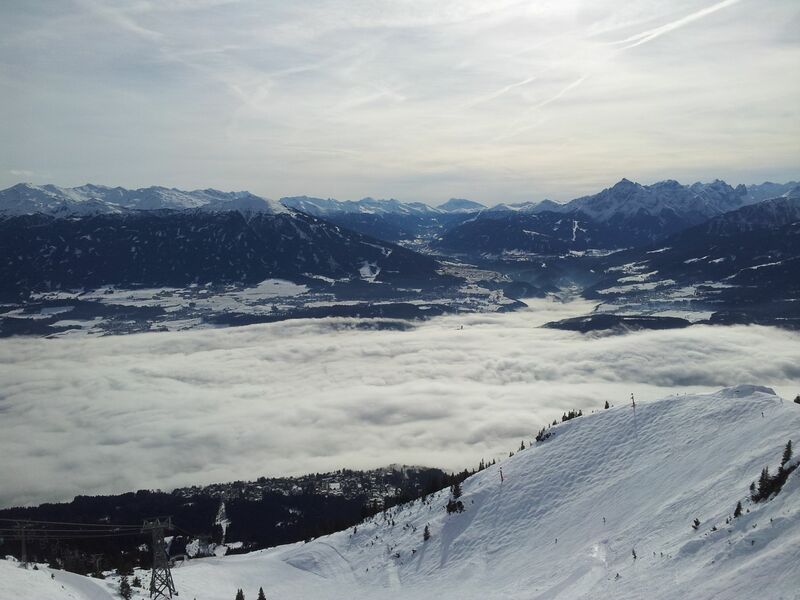 Once the mists cleared, the view to the Innsbruck below was truly spectacular. The Assyrian and Babylonian Intellectual Heritage Project (Melammu) investigates the continuity, transformation and diffusion of Mesopotamian culture throughout the ancient world from the second millennium BC until Islamic times. It is the perfect partner for the IHANE project. The symposia have in the past been important forums and now, after a pause of five years, professor Robert Rollinger and Dr Erik van Dongen (see an earlier post regarding them) have undertaken to organize the 7th symposia in Austria. 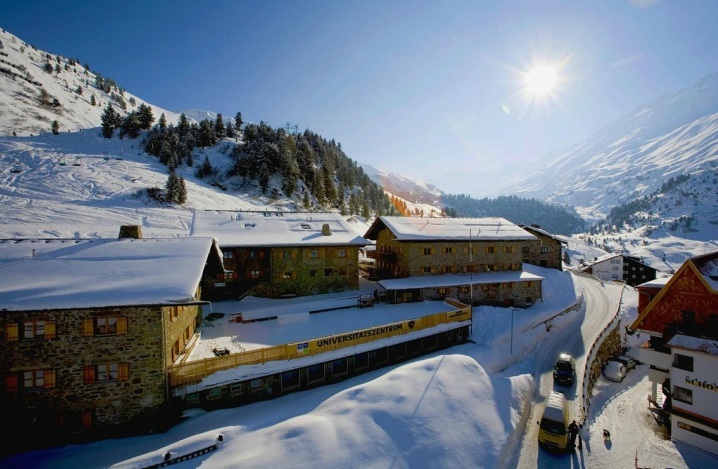 “Mesopotamia in the ancient world: Impact Continuity, Parallels” will take place in Obergurgl, Tyrol, November 4-8th 2013. The web pages of the conference have been opened here, and more information regarding the Melammu project you can find here. We are eagerly awaiting visitors from Padua and Tartu for our workshop in Helsinki (March 12-13). The presentations are open to public and everyone interested is very welcome to attend. The presentations will discuss many interesting topics relating to ancient Mediterranean. See below for exact time and place. Welcome to the brand new blog of The Intellectual Heritage of the Ancient Near East project at Helsinki University! A former participant, Dr. Erik van Dongen, is now part-time Professor at Saint Mary’s University (Canada). The various specialists working together in the project cover many disciplines, such as Assyriology as well as Greek, Iranian, Arabic, Islamic, and Hebrew studies. Together, we form a tight network of both senior and junior scholars interested in the same questions from different angles. We are also cooperating with colleagues in other Universities, first and foremost the University of Innsbruck. It is our hope that studies in various cases of cultural contact and interaction will help to understand the relations between the Near East and Europe also on a more general level. The present blog is aimed at telling you about things that are going on in our project. So, keep us in mind! We will bring up interesting topics twice a month and tell more about what we are up to. This is the official blog for the project Intellectual Heritage of the Ancient Near East (IHANE). / Tämä on "Muinaisen Lähi-idän henkinen perintö" -projektin virallinen blogi.